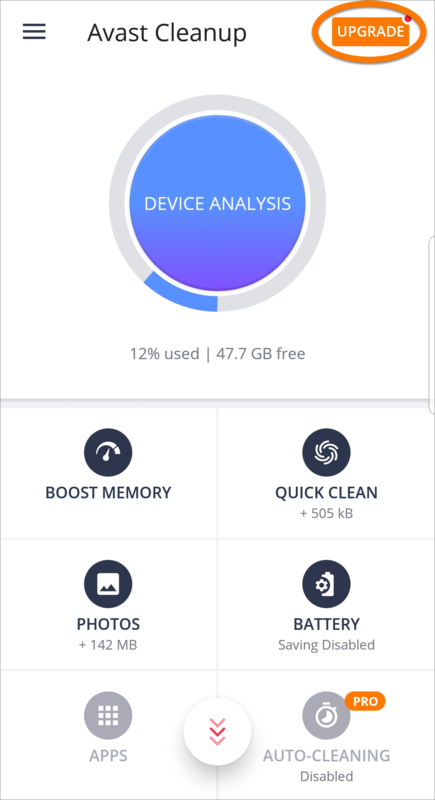 Avast Cleanup for Android is a mobile app designed to help you improve the performance of your device and preserve storage space by removing unnecessary media, files, apps, and app data. Remove these items by transferring them to a cloud storage account and/or deleting them from your device. You can also optimize photos so they consume less space. 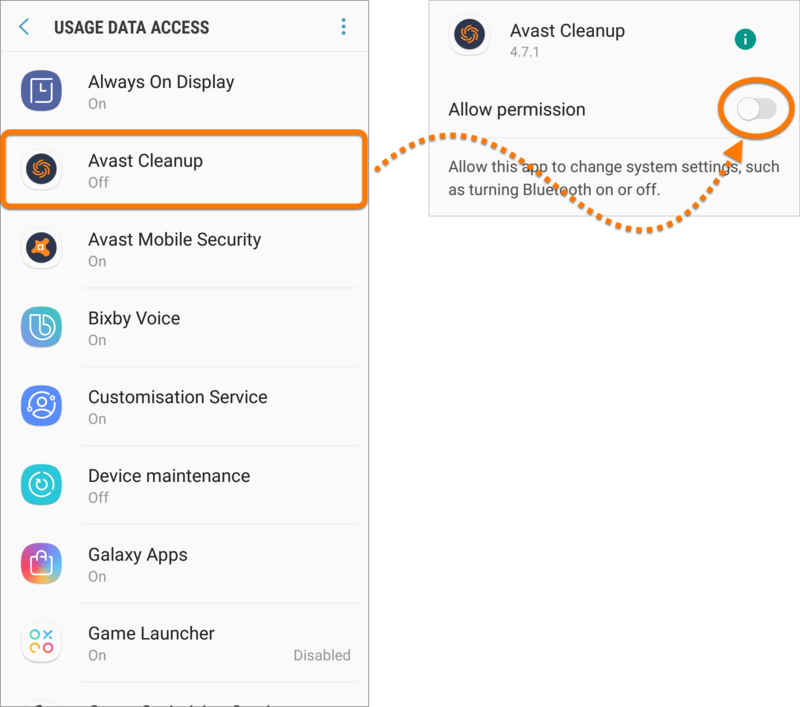 Refer to the sections in this article for instructions on using Avast Cleanup for Android. 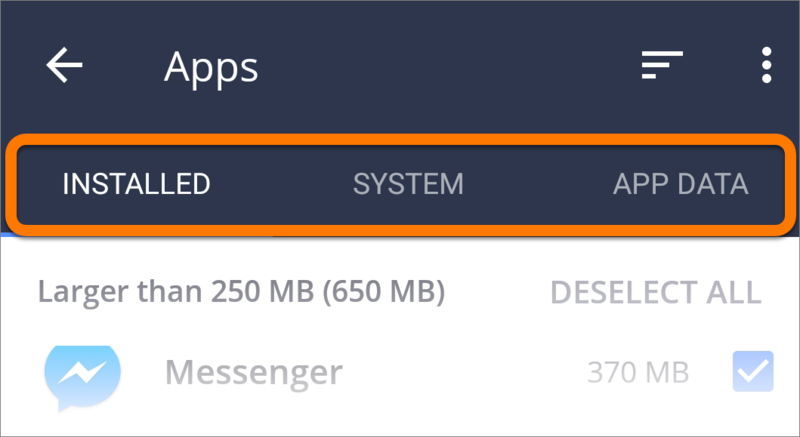 Tap Continue With Ads, or tap Upgrade Now to get a paid version of Avast Cleanup Pro, which doesn't display ads. 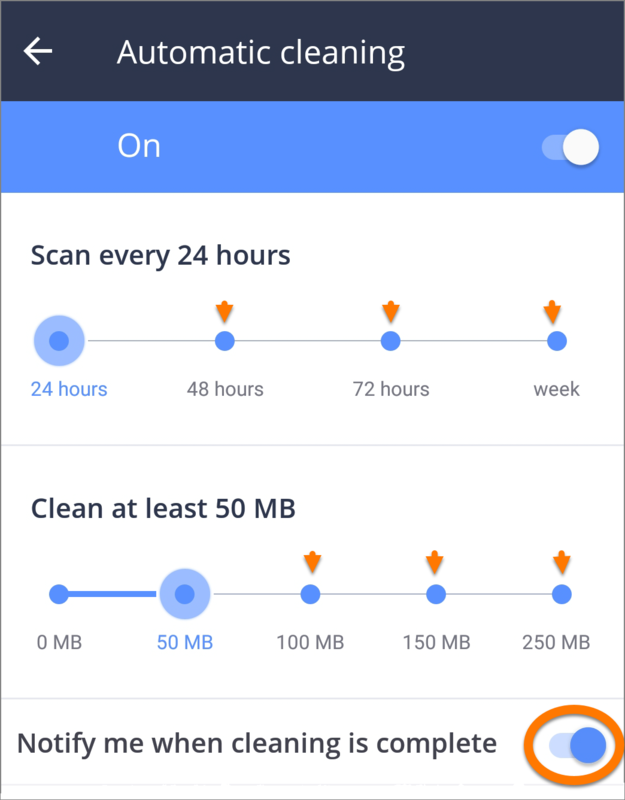 Tap Allow to grant Avast Cleanup access to your data. 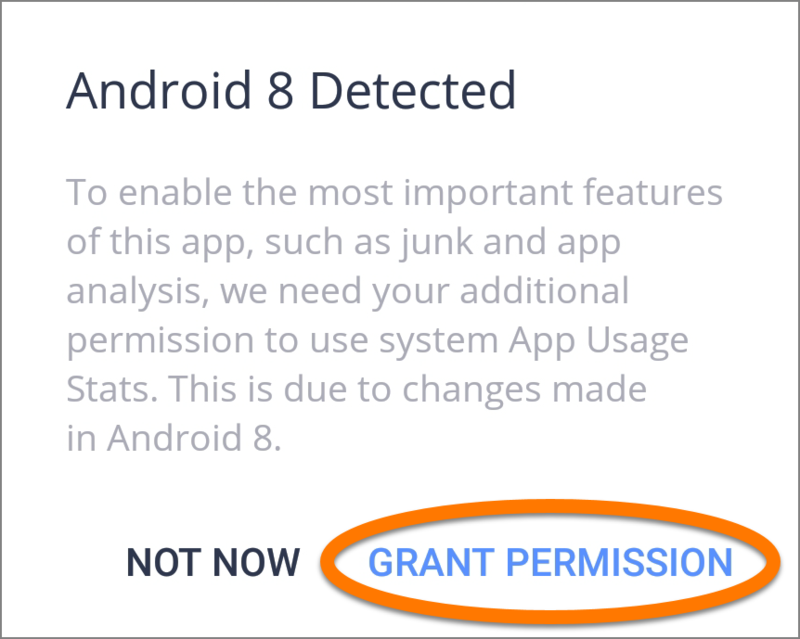 If you are using Android 8, tap Grant Permission to allow Cleanup to access Data Usage Stats. 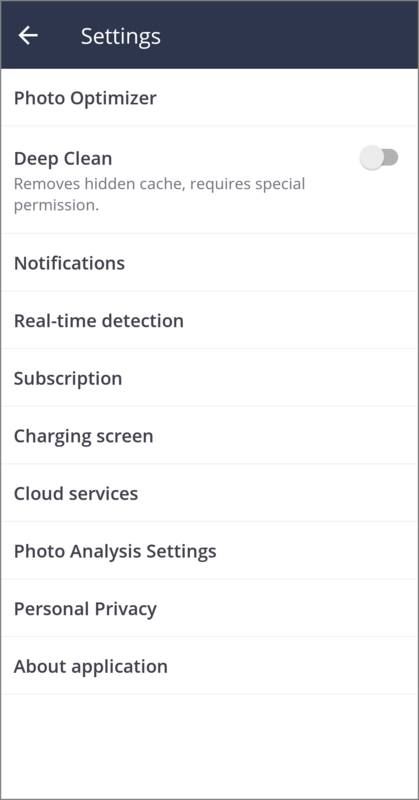 When you tap Grant Permission, you are directed to the Usage Data Access menu. Select Avast Cleanup from the menu, and tap the OFF slider so it changes to ON, then tap the back arrow twice to return to Avast Cleanup. Avast Cleanup is now configured and ready to use. 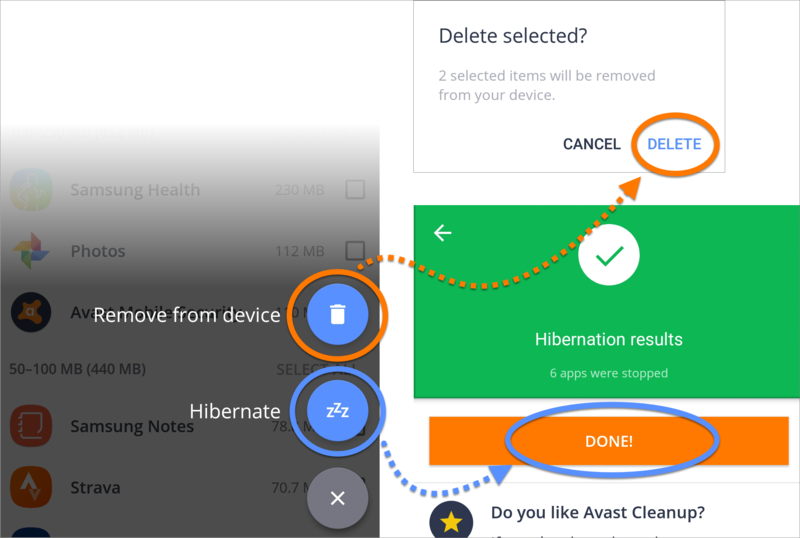 Open the app by tapping the Avast Cleanup icon on your device. 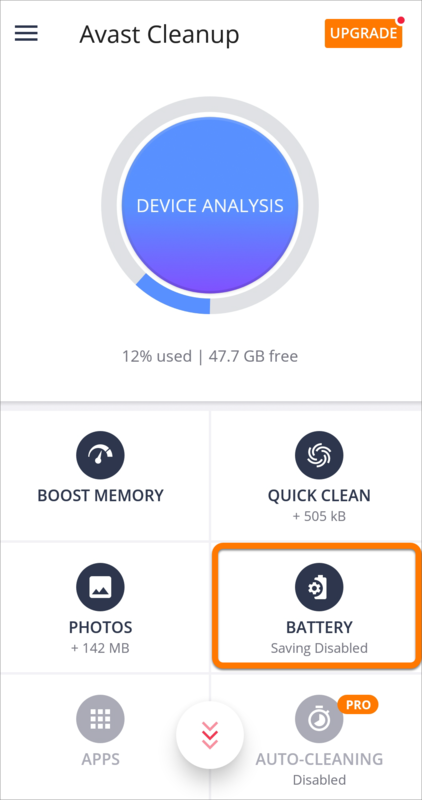 The Avast Cleanup interface shows the Device Analysis button, six tiles representing the main options, and the ☰ Menu button. 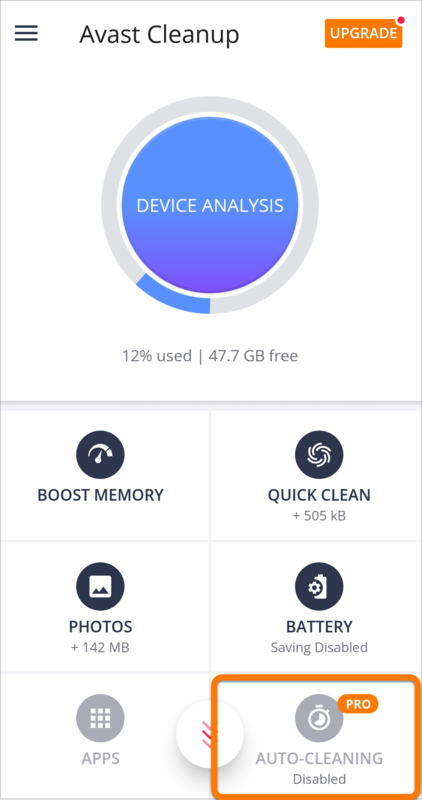 Device Analysis: Analyzes your device and provides you with cleaning and optimizing tips for freeing storage space. 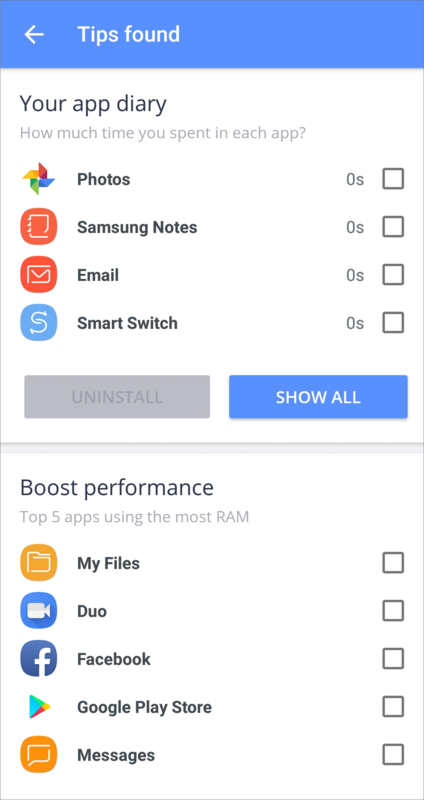 Boost Memory: Stops selected apps from running in the background to free memory space. Quick Clean: Removes unnecessary files to free your storage space. Photos: Optimizes your photos by decreasing their pixel size, so they look almost the same but consume less space. 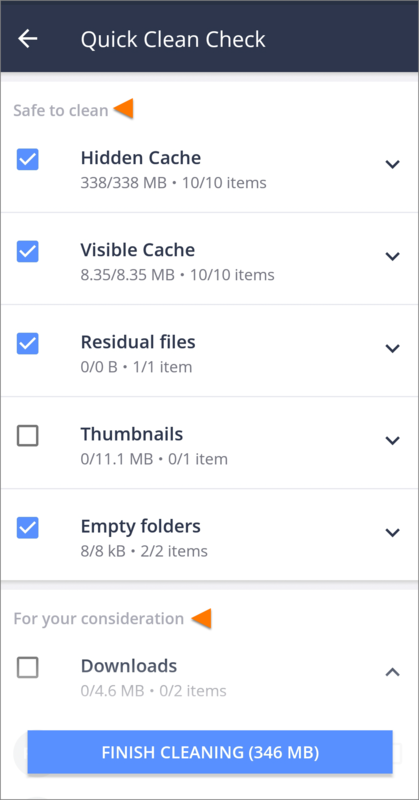 This feature also allows you to open additional storage space on your device by displaying photos that you may want to delete, for example groups of photos which are very similar, old photos, and photos that are low quality. Auto-cleaning (Avast Cleanup Pro only): Performs regular Quick Cleans automatically. You can choose how regularly they occur and the minimum amount of space you want to clean. The main screen of the app also contains the ☰ Menu icon in the top-left corner. 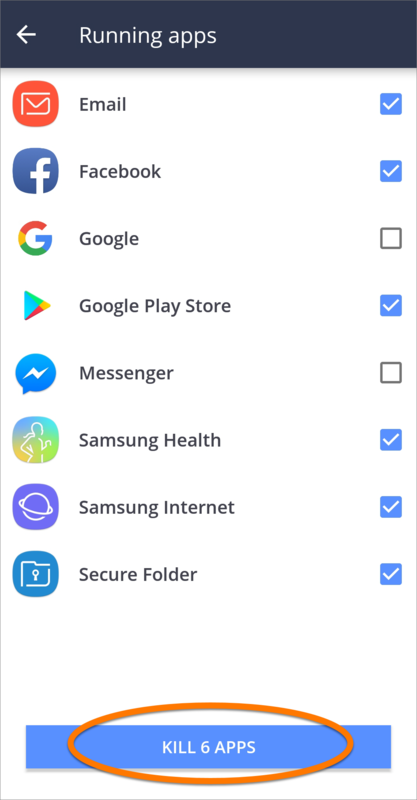 The menu provides access to your device storage, the Cloud services menu, a range of cleaning and optimization tools, and gives you access to the app settings. 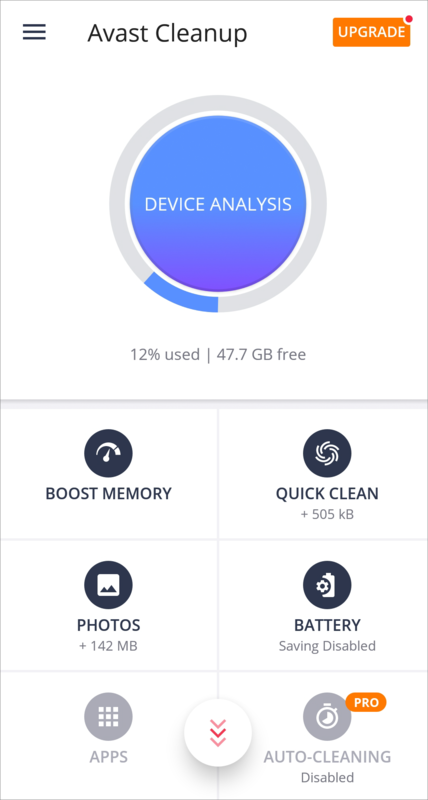 Device analysis checks your device for ways to open up storage space. 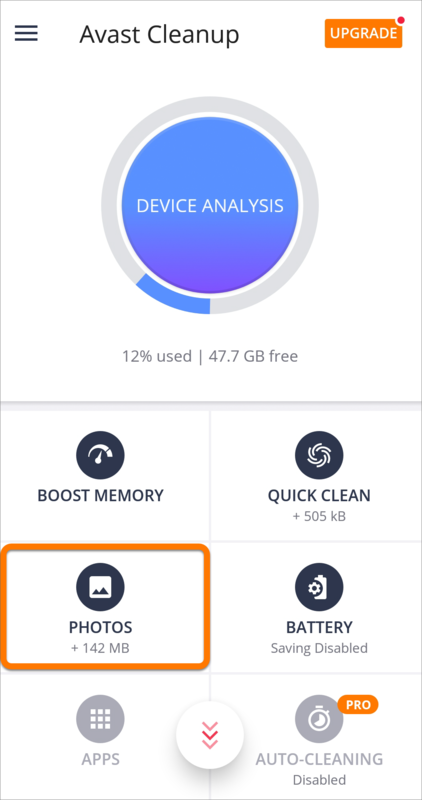 Press the Device Analysis button to view suggestions and easily free storage space on your device. Tap the Device Analysis button. View tips and follow the on-screen instructions to ensure that your device is clean and optimized. The Boost Memory feature stops non-system apps from running in the background, which frees memory space for other tasks. Tap the Boost Memory tile. Tick the apps you want to close (all non-system apps are ticked by defualt), then tap Kill Apps. 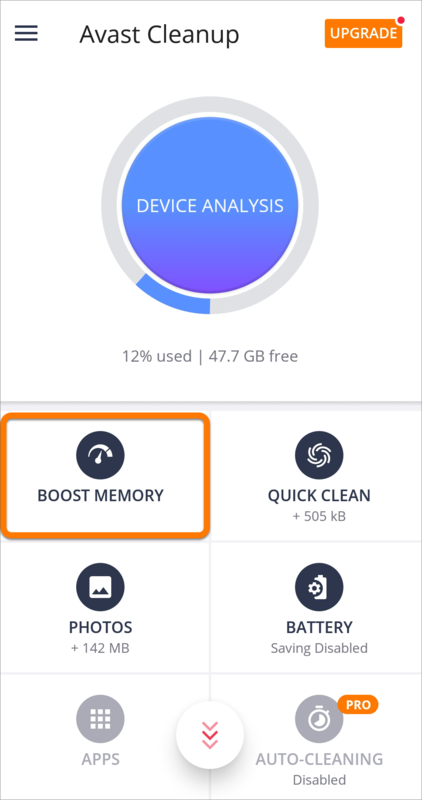 If you are using Memory Boost for the first time, tap Grant Permission to allow Avast Cleanup to hibernate apps. If you don't want to take advantage of app hibernation, tap Done!. After granting permission, you are directed to the Accessibility menu. Scroll down to Services and tap Avast Cleanup. 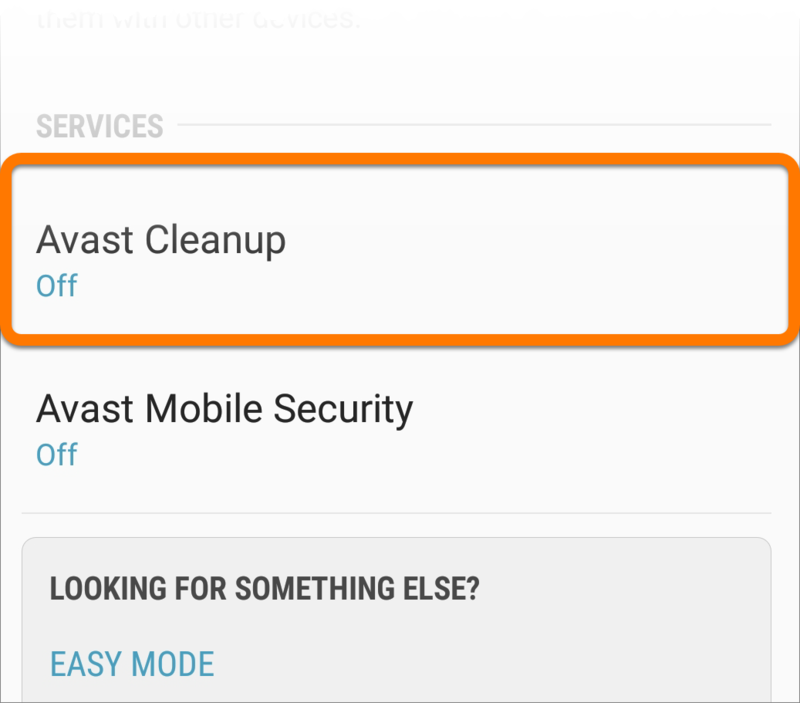 Tap the slider next to OFF so it changes to ON and tap the back arrow to return to Avast Cleanup. Kill Apps now becomes Hibernate Apps. Tap Hibernate Apps. Tap Done! to return to the main app interface. 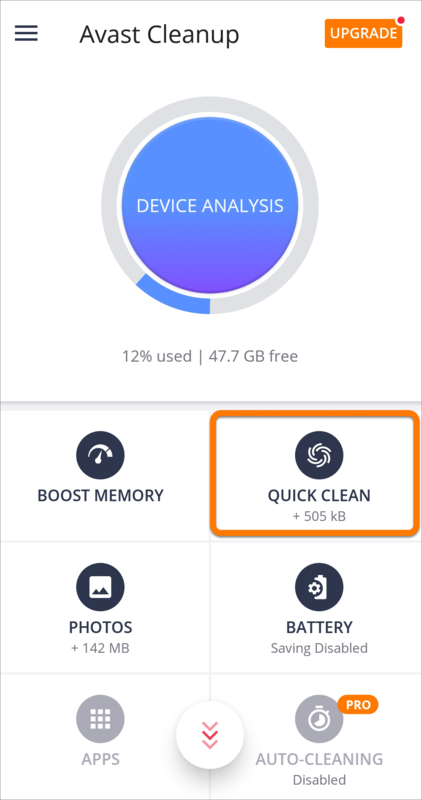 Quick Clean cleans your device by removing unnecessary files to free your storage space. You can select which item types are cleaned before you perform a cleaning. Tap the Quick Clean tile. Tap the down arrow next to an item type to view specific items on your device. Untick any items you don't want to be cleaned. When Quick Clean is complete, Avast Cleanup tells you how much space was cleaned. Tap Review and Optimize under the optimizable images. Tap Optimize to optimize all selected images. All optimizable images are selected by default. 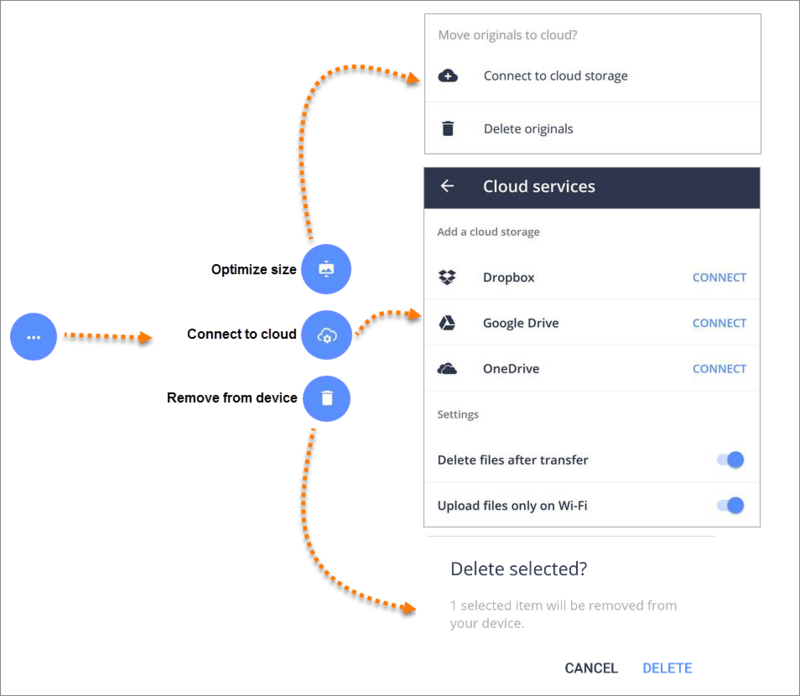 Tap Connect to cloud storage to transfer originals to your preferred cloud service, or tap Delete originals to delete originals after optimization. 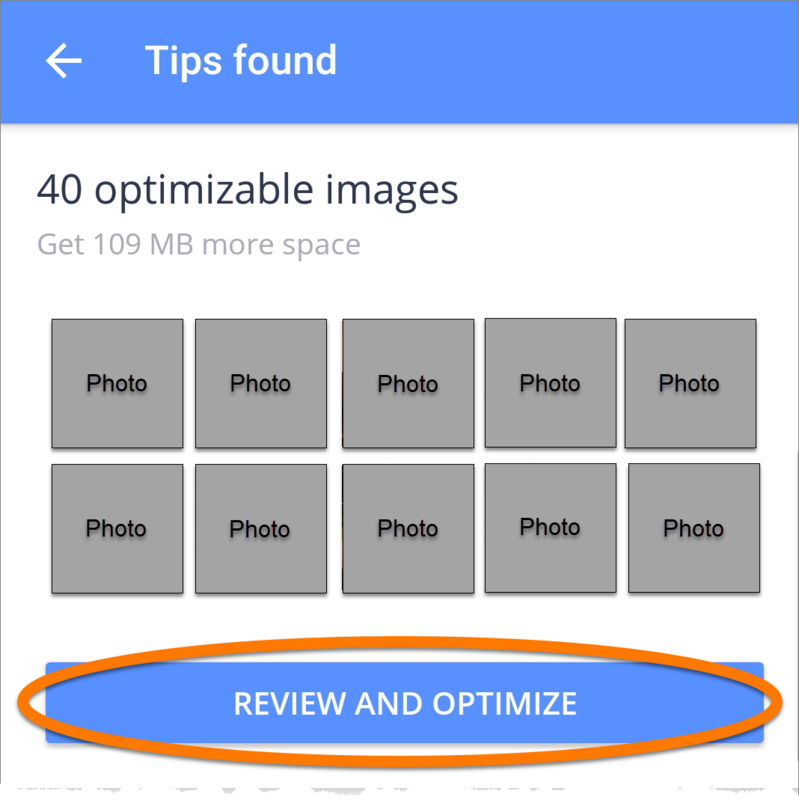 In addition to Optimizing your photos, Cleanup also helps you to free storage space by identifying images that you may want to remove from your device. Optimizable images: photos that can be resized to the size of your device screen so they consume less space. Old photos: photos that were time-stamped a month or more in the past. Bad photos: photos which may be out of focus, dark, or low quality. Photos for review: photos that Avast Cleanup has identified as possiblly low quality. This section allows you to swipe left or right to manually delete or keep photos. The Auto-cleaning feature (available in Avast Cleanup Pro) allows you to schedule automatic cleaning of your device. Tap the slider to enable the feature. Set the frequency and the minimum amount of space you want to clean by tapping the dots above the numbers. You also can specify if you want to be notified about cleaning by tapping the slider next to Notify me when cleaning is complete. Automatic cleaning occurs as often as you specify, without having to activate it each time. 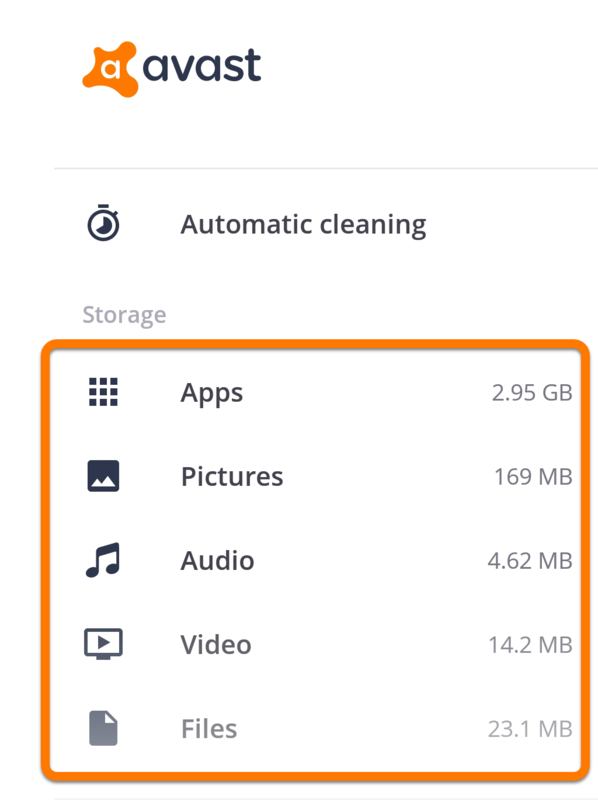 Avast Cleanup allows you to manage your data and move it to free cloud storage. Tap the ☰ Menu icon in the top-left corner of the app interface. Select a category to manage your data. 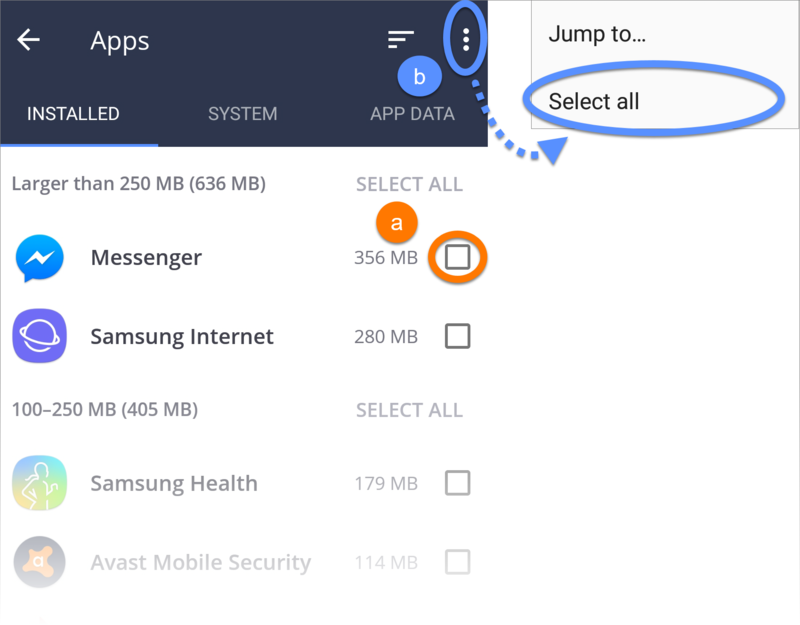 Tap the Installed, System, or App Data tabs to view which apps from this category are installed on your device. Select one or more items, or tap the Menu icon and choose Select all. Tap Menu in the bottom-right corner. Select either Hibernate or Remove from device. To confirm the deletion of an app, tap Delete. 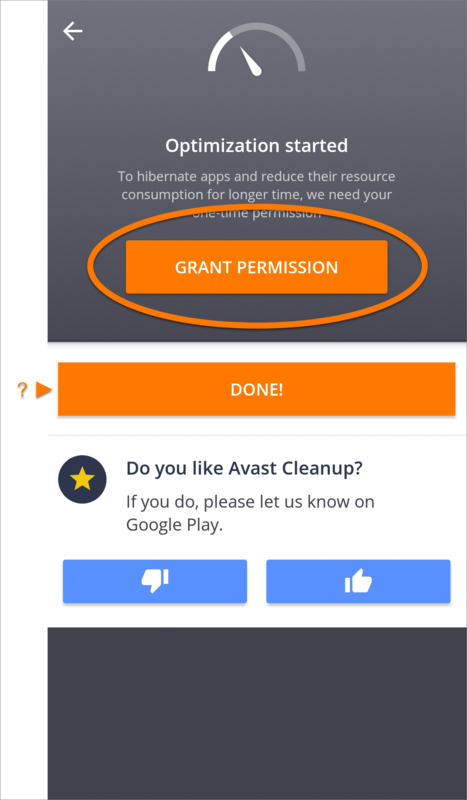 To hibernate apps in bulk, you may first need to grant Avast Cleanup permission. 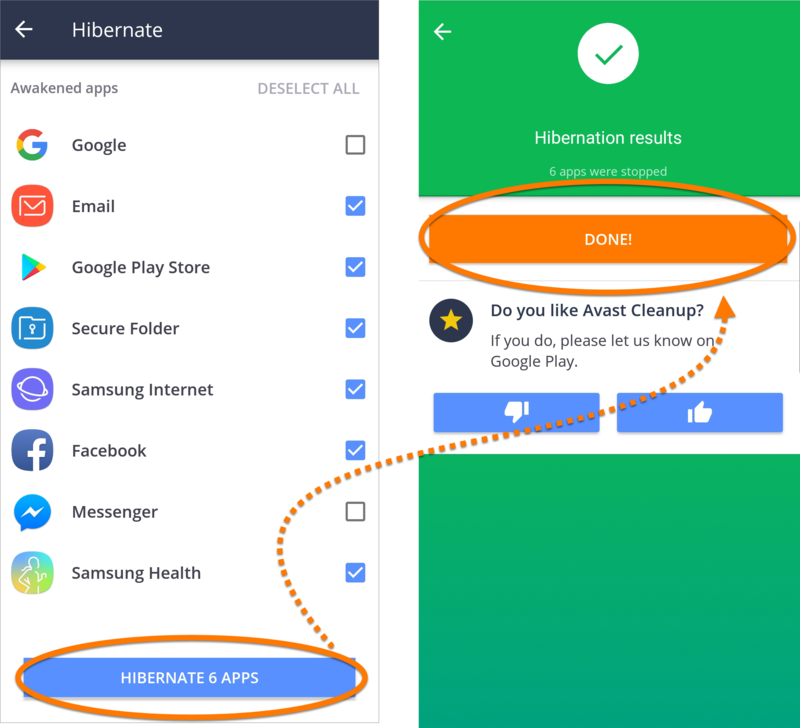 Follow the on-screen instructions to allow Avast Cleanup to hibernate apps in bulk. Tick the items you want to manage, or tap the Menu icon and choose Select all. Select your preferred action for selected item(s): Optimize size, Connect to cloud, or Remove from device. Tap a category to manage the related settings. Subscription: View your Activation Code and Learn More about Avast Mobile Subscriptions. Select and purchase your preferred Avast Cleanup Pro subscription type (monthly or yearly) or use a previously purchased license. 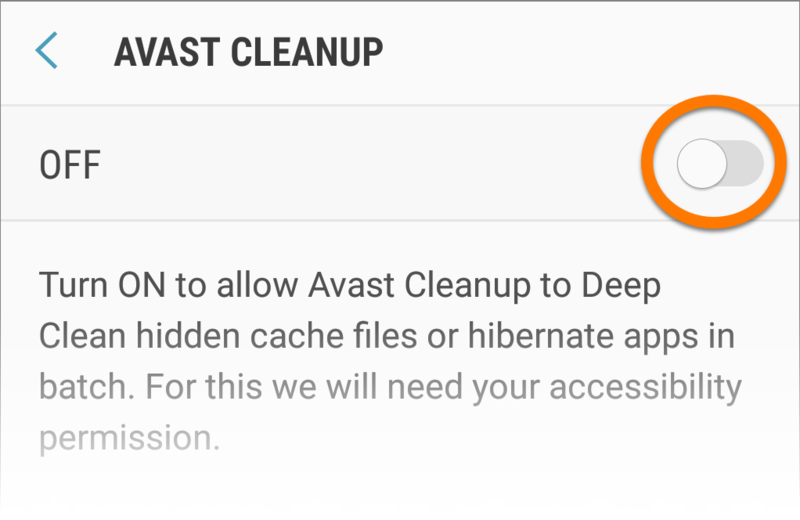 This option only appears in Avast Cleanup Pro. Notifications: View a list of notification types. Active notification types are marked ON. To disable a notification type, tap the ON slider so it changes to OFF. Cloud services: Tap Connect next to a cloud storage provider (Google Drive, Dropbox, or OneDrive) to connect to your account or create a new account. Turn ON the settings that you want to apply to your cloud transfers. Charging screen: Specify how you want your Charging screen to behave. Real-time detection: enable detection of obsolete APKs and app leftovers. 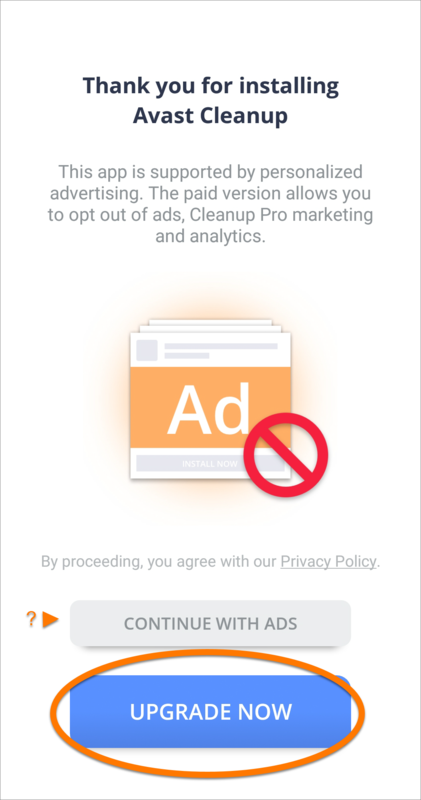 Remove Ads: This option only appears in the free version of Avast Cleanup. Tap to upgrade to the paid Avast Cleanup Pro and remove ads from your Avast Cleanup experience. 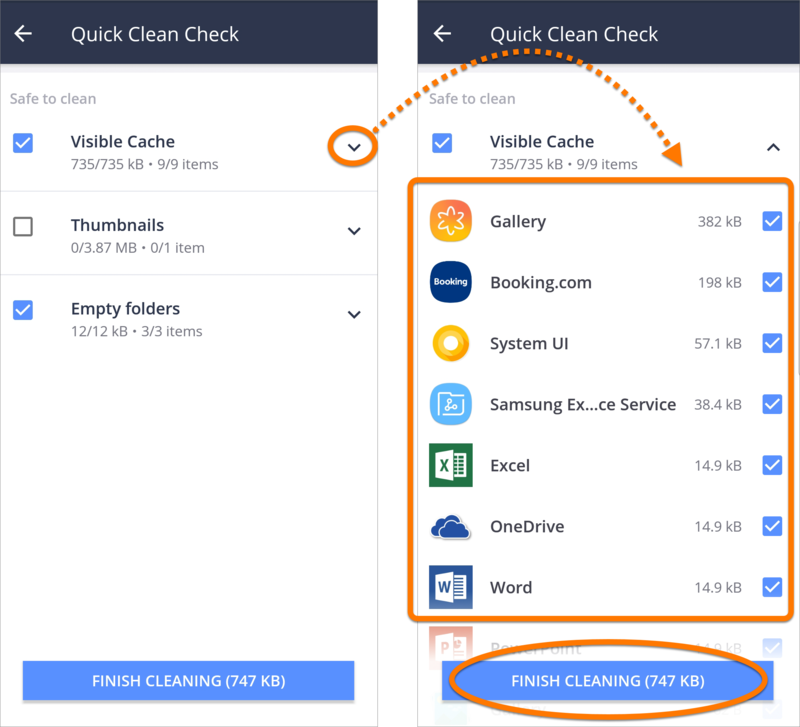 Deep Clean: Give Avast Cleanup permission to remove unnecessary hidden cache from your device each time you run a Quick Clean. 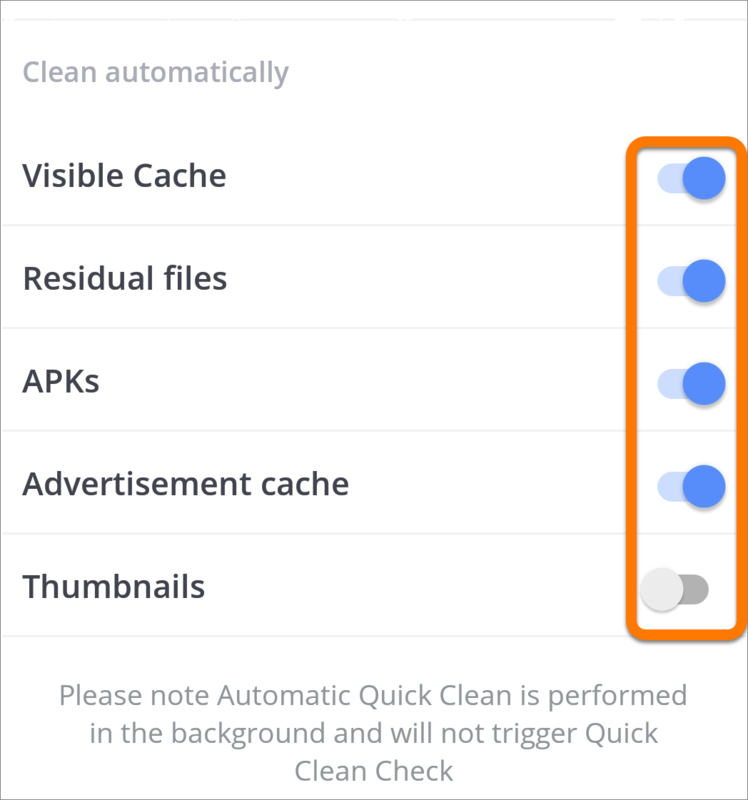 Once you enable Deep Clean, it no longer appears in the settings menu. To disable it, go to your device's Accessibility menu, tap Avast Cleanup and tap the ON slider so it changes to OFF. Paid settings are marked as Pro. 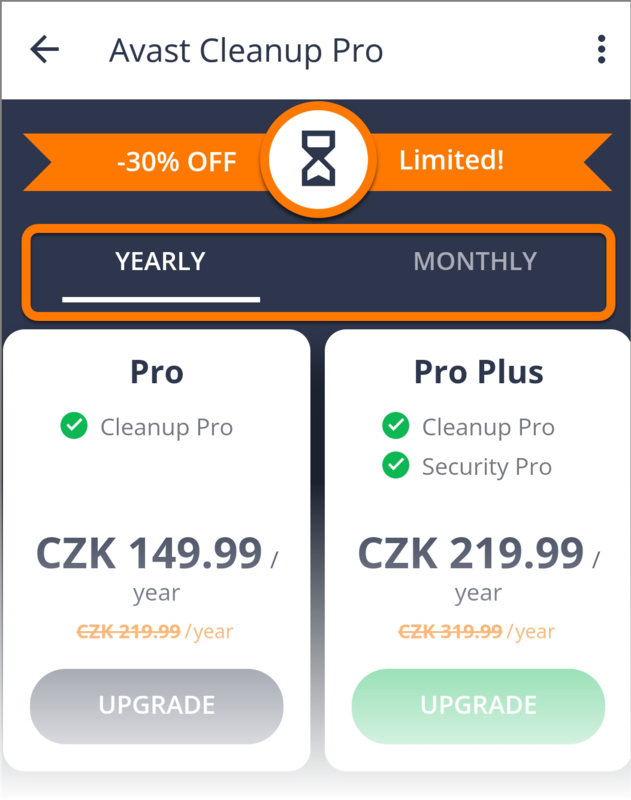 If you do not already have an Avast Cleanup Pro subscription, tap Upgrade to proceed to the purchase screen. 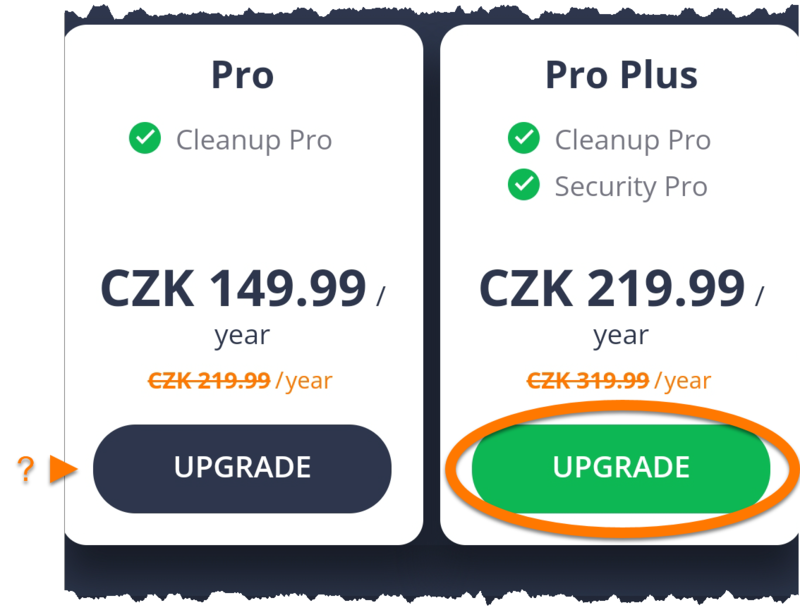 Upgrade to a paid version of Avast Cleanup to unlock a range of advanced features. After you complete the payment, the premium features of Avast Cleanup Pro or Avast Cleanup Pro Plus are unlocked on your device. Your purchased subscription is valid across all devices which have Avast Cleanup installed and are connected to your Google account. Tap Next twice to skip the information pages, then tap Get Started. 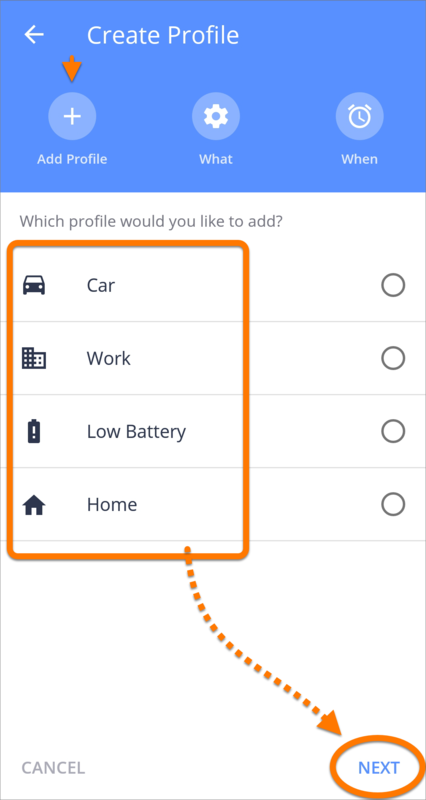 Tap the profile you would like to create (Car, Work, Low Battery, or Home) and tap Next in the bottom-right corner. WiFi: turn WiFi ON or OFF for this profile. 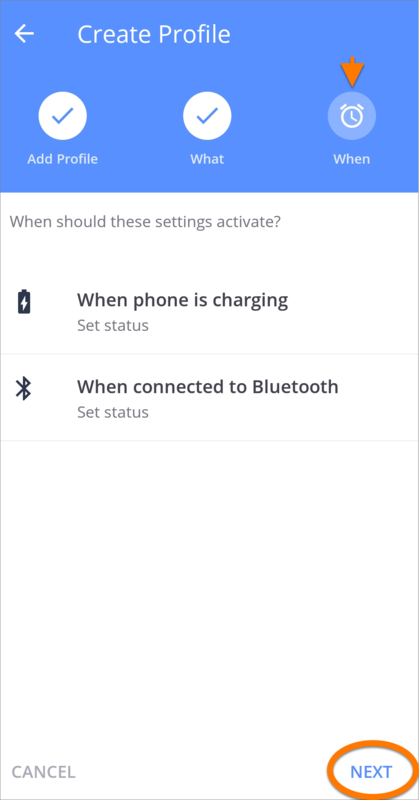 Bluetooth: turn Bluetooth connectivity ON or OFF for this profile. 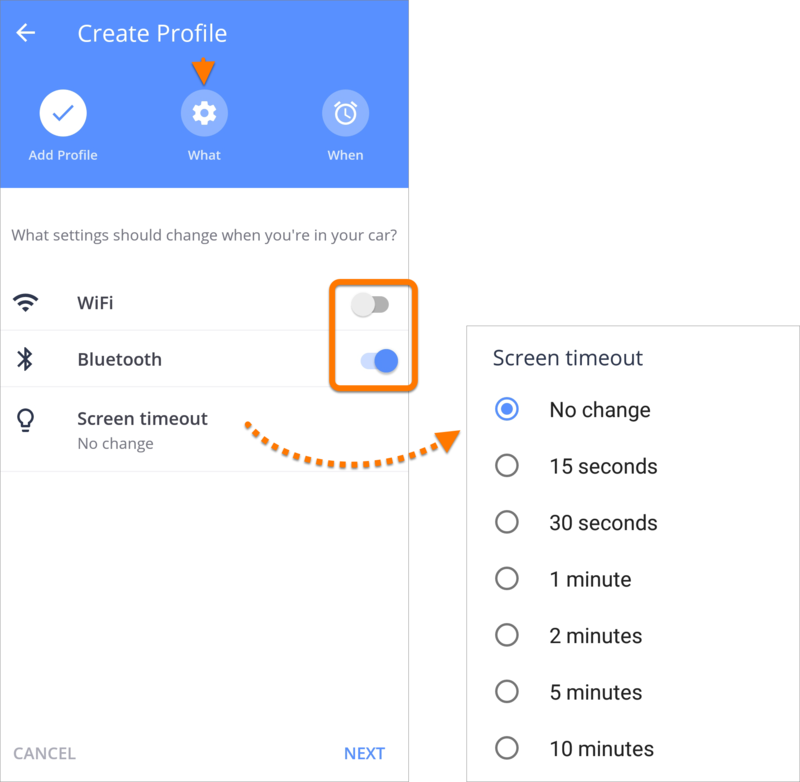 Screen timeout: choose after how many minutes/seconds your screen will timeout. To adjust this setting, tap Screen timeout and select a time option. When your settings are finalized, tap Next in the bottom-right corner. When phone is charging: Tap to decide whether the profile will remain active when your device is charging. 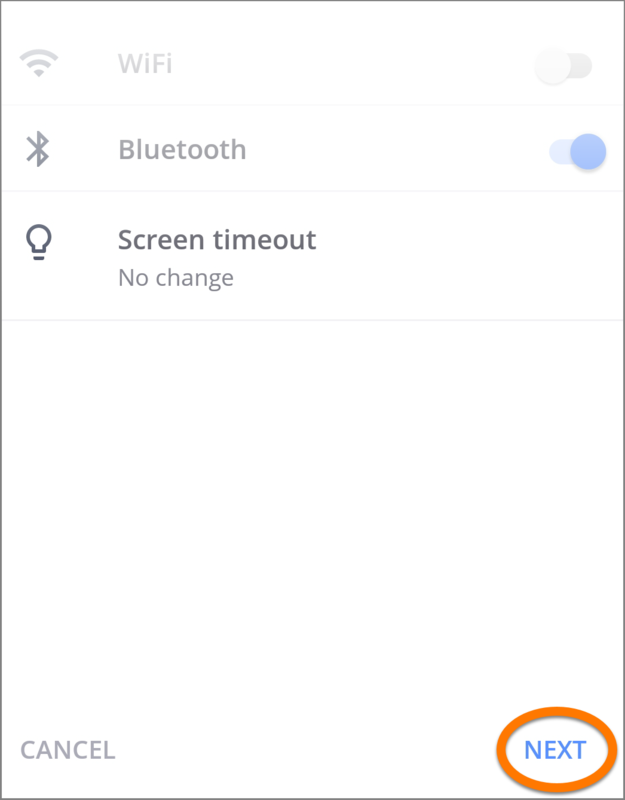 When connected to Bluetooth: Tap to either choose for the profile to be activated when you connect to any Bluetooth device, or select a particular Bluetooth device that activates the profile. When connected to WiFi: Tap to select a WiFi network that activates the profile. 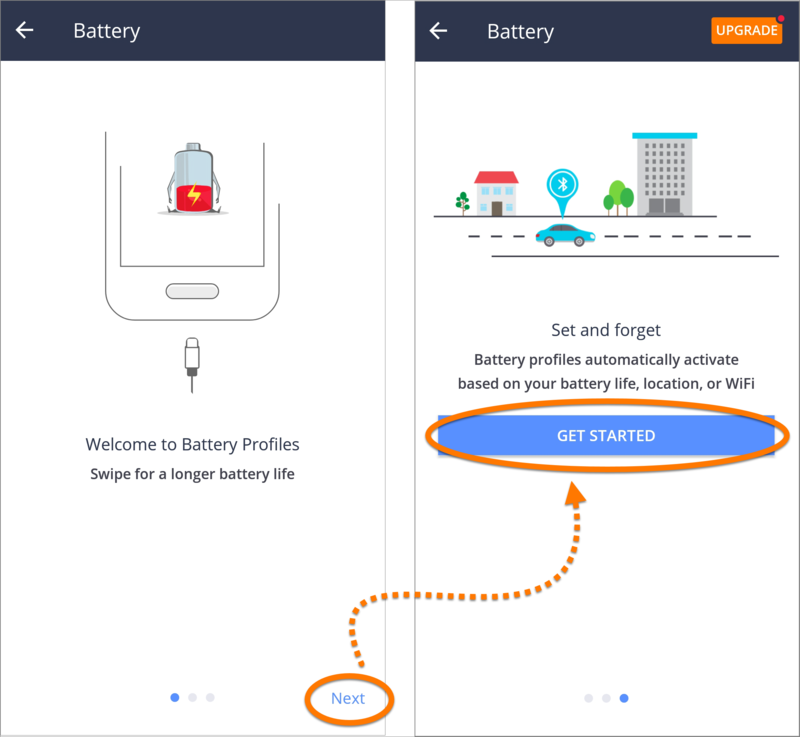 When battery level reaches 25%: Tap to choose the battery level that activates the profile. 25% is the default setting. Tap Cancel in the bottom-left corner at any point to return to the previous screen and change your profile settings. 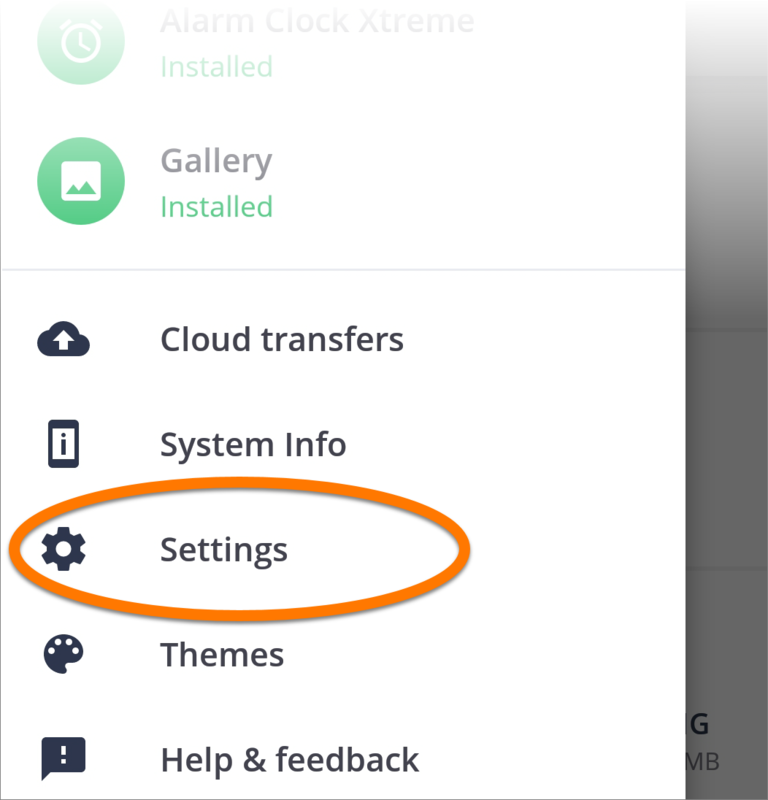 When you are directed to the Device Settings menu, tap the OFF slider next to Avast Cleanup so that it changes to ON. Tap the back arrow to return to battery profiles. 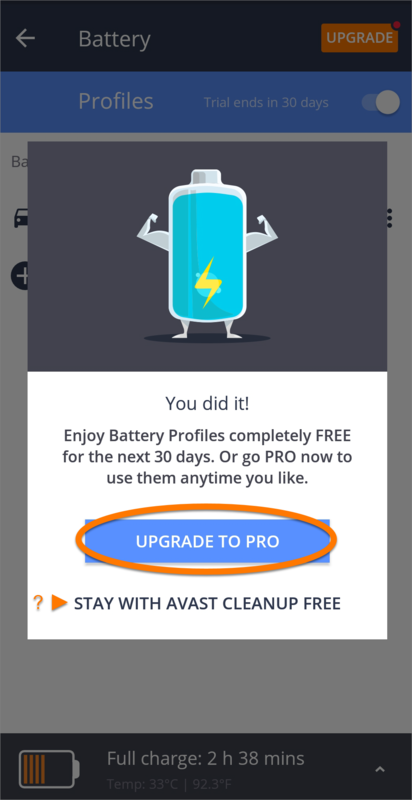 If you are using the free version of Avast Cleanup, a dialog box informs you that Battery Profiles are free to use for the next 30 days. 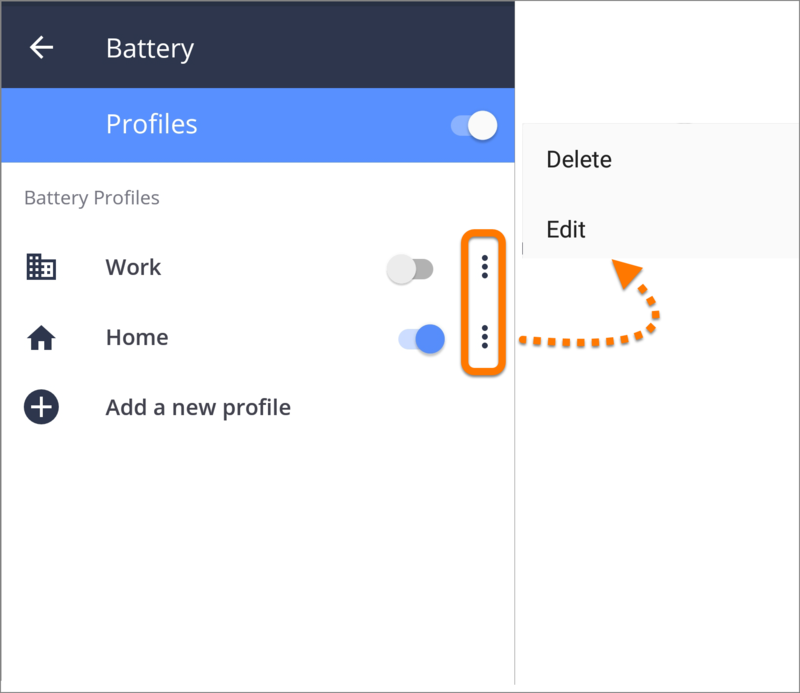 To enjoy unlimited access to Battery Profiles, tap Upgrade To Pro to get a paid version of Cleanup Pro. 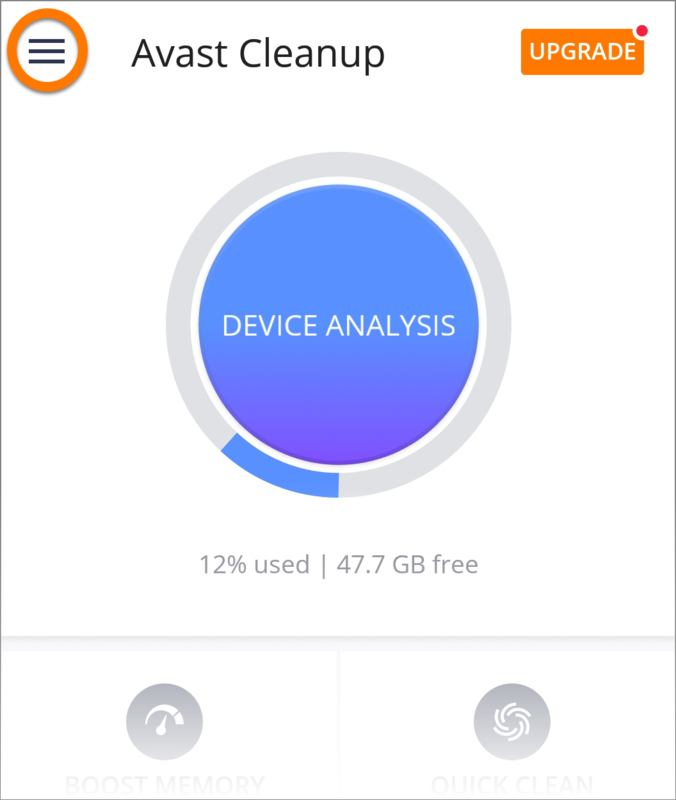 To continue with the free 30-day trial, tap Stay With Avast Cleanup Free. Tap ⋮ (three dots) next to the profile you want to edit/delete.